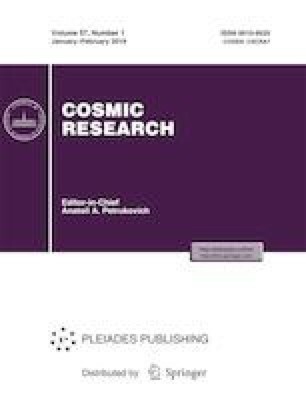 This is a study of the spatiotemporal distribution of midlatitude disturbances of the upper and lower ionosphere in the European zone during a strong geomagnetic storm and strong X-ray flare using data of synchronous measurements of the parameters of global navigation satellite system (GNSS) signals and very low-frequency (VLF) radio signals. It has been shown that the contribution of electron concentration at different altitudes to the total electron content of the ionosphere can vary significantly depending on the type of heliogeophysical disturbances. A combined analysis of GNSS signals and VLF radio signals makes it possible to study the mechanisms of coupling between the upper and lower ionospheric disturbances and the dynamics of ionospheric disturbances in the horizontal and vertical directions. This study was conducted within State research targets AAAA-A17-117112350014-8 and 0146-2015-0017. The authors are sincerely grateful to Madrigal (http://www.openmadrigal.org/), UK Solar Data Centre (https://www.ukssdc.ac.uk/cgi-bin/digisondes/ cost_database.pl), and Kiel Longwave Monitor (http://www.lf-radio.de/) for providing us with geophysical data and to Johns Hopkins University Applied Physics Laboratory for providing us with DMSP satellite data (http://ssusi.jhuapl.edu/).